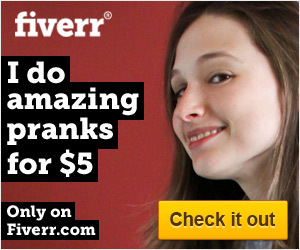 Fiverr is the world's largest marketplace for small services, starting at only $5. Fiverr currently offers 1.7 million gigs in 120 categories and has millions of users from more than 200 countries. Everything from making your blog awesome to drawing you a caricature. Fiverr is not only fun, but handy. It'll save you time and money. Follow the link to see the things people do for only $5!